array of mediums varying from: lectures and talks, art exhibitions, revised stage productions, and televised documentaries. Joe Orton’s own archive collection, held at the University’s Special Collections has played a vital role in helping researchers, artists and directors alike to understand the inner workings of the 1960s playwright through his personal collection of: draft scripts, correspondence, diary entries, scrapbooks, photographs and so much more. 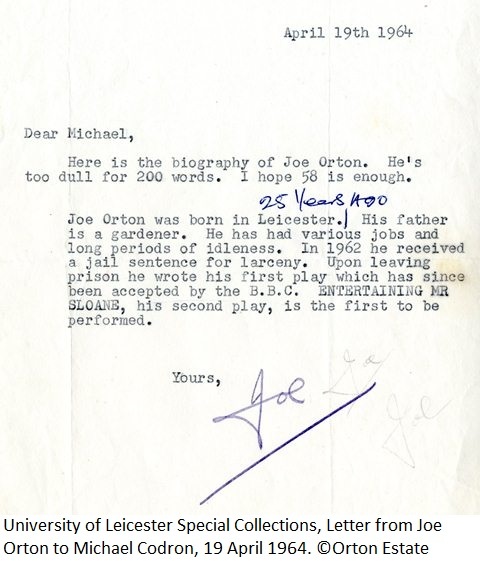 For those unfamiliar, Joe Orton grew up on the Saffron Lane estate in Leicester. 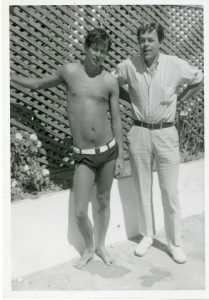 In his late teens Orton was awarded a scholarship to study at the Royal Academy of Dramatic Arts, London where he met fellow student, and future partner Kenneth Halliwell. Like many new authors Orton’s work received rejections, however he went on to become one of the most notorious playwrights of the 1960s, known both for his savagely satirical and scandalous black comedies and for his unconventional lifestyle. 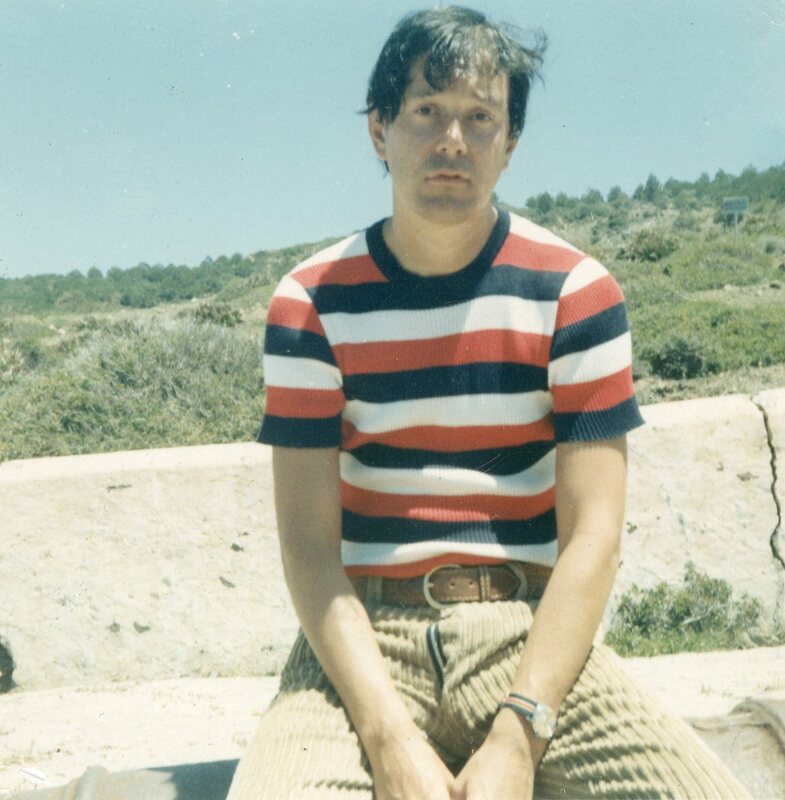 In the height of his success Orton’s literary career was cut-short due to his tragic murder by Kenneth Halliwell. Orton was thirty four years old. 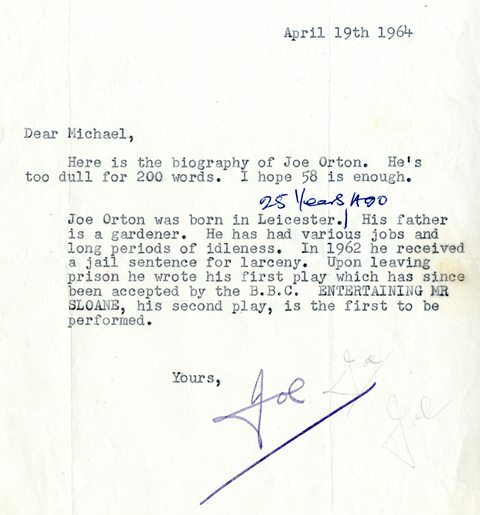 [Written to Michael Codron, theatre producer of Orton’s first stage play ‘Entertaining Mr Sloane’ at the New Arts Theatre, London on 6th May 1964]. 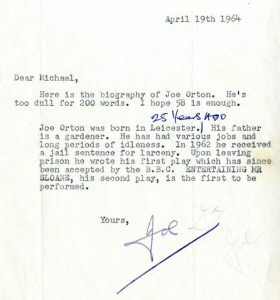 This letter, alongside many other items within the collection demonstrate Orton’s personality, whilst his collection of early drafts and annotated scripts reveal the creative writing processes involved before Orton’s plays were produced on stage. 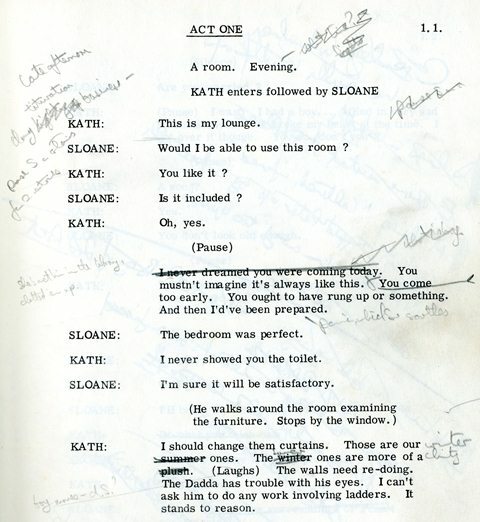 The Orton Collection is housed in Special Collections, and freely accessible for students, staff and external researchers. Please note however that material will be unavailable for consultation between 14th August – 8th September due to essential repackaging and cataloguing works. Once this has been completed, the new enhanced catalogue will enable an improved user experience, with items searchable online through our archives catalogue and items repackaged to enable safer production in the reading room.